Windows 7 is one of the most popular operating systems of all time. More PCs ran Windows 7 than any other operating system in history. In fact, Windows 10 was launched in July of 2015, even being offered as a free upgrade from Windows 7 and 8.1 for a time; still users persisted with Windows 7, and the numbers for Windows 10 failed to exceed those of 7 until December 2018. Windows 10 now runs on over 700 million devices. All things considered, Windows 7 is still running on over 600 million devices, and as of January 2020, Windows 7 will likely be run on over 30 percent of devices in the world. As a result of this widespread popularity, there are naturally many organizations out there that can’t feasibly pull off an upgrade to Windows 10 in time for the Windows 7 end of life. Unsupported software can create issues with security and compatibility, which is the primary reason why organizations should be upgrading away from out-of-date software. Of course, it’s never as easy as it sounds, which is why Microsoft is providing extended support. Organizations that can’t get away from Windows 7 can continue to receive support from Microsoft, but for a price. 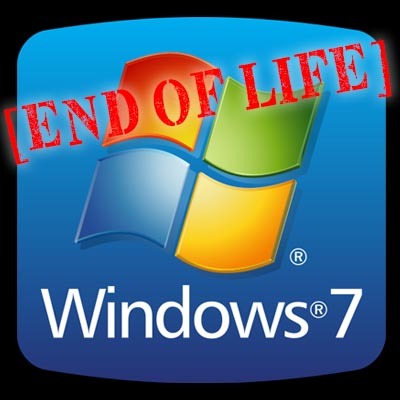 In situations like this, where there is a considerable amount of computers still running the operating system not even a year from its EOL date, Microsoft has made Windows 7 Extended Security Updates available. This program provides support through January 2023, providing plenty of time for organizations to “get it together,” so to speak. While it might sound convenient, the price tag is going to be the heavy hitter. The add-on support is sold on a per-device level in one-year increments, with the costs doubling every year. Covering a single Windows 7 PC for three years would run approximately $175 if the company is already a Windows 10 Enterprise or Microsoft 365 Enterprise customer. If it isn’t, or doesn’t plan on becoming one, the cost jumps to $350 per Windows 7 system. There are other fees that must be included in this as well for organizations that require coverage in the second or third year following the end of life event. Overall, you really need to love Windows 7 if you want to pay this much to avoid an upgrade to Windows 10 for as long as possible. It basically becomes an ultimatum--either pay up or grade up. If you’re having trouble upgrading your systems, or you are concerned you won’t be able to make it in time for the end of life event, consult the technology professionals at Computerware.